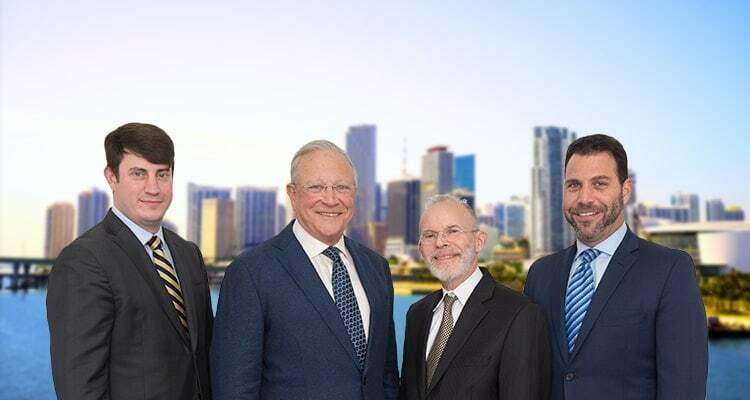 Contact Doral Personal Injury Attorney Gerson & Schwartz, P.A. Even if you do not live in Doral, chances are that you have visited or worked there. Doral is one of the busiest cities in Florida and entrepreneurs are attracted to this area due to its pro-business environment. However, when there are many people in one area, accidents can occur, and Doral is not an exception. Employees can get hurt within the workplace. Patients can be injured due to medical malpractice. Drivers and passengers can get injured in a motor vehicle accident. Residents can get injured by intruders in their apartment buildings when there is inadequate security. If you have been injured due to someone else’s negligence, then you may be able to file a personal injury lawsuit and recover compensation for your injuries. A personal injury can occur when harm is done to the body causing physical and psychological harms. When someone is negligent and you are subsequently harmed due to the negligence of another you have the right under Florida law to be compensated for your injuries. A personal injury lawsuit can ensure that you will receive that reimbursement. By filing a lawsuit, you are telling the other party that you are going to hold him accountable for their actions because of their wrongful behavior. You are also enforcing your right to not be held liable for an injury you did not cause. Experienced attorneys at Gerson & Schwartz, P.A., can help you file a personal injury lawsuit and recover the costs that you are owed. We handle a wide range of cases such as those described above as well as wrongful death, premises liability, slip and fall accidents and boat accidents. Injuries also vary as we have handled cases involving minor dog bites to serious spinal cord injuries. We will not be compensated unless you are and consultation is free. So call our firm today to find out more about personal injury lawsuits and how we can help you. Doral, an independent city named after a famous golf and spa resort in its boundaries, is located in north Miami-Dade County, Florida. The famous Doral golf and Resort Spa was originally built by Doris and Alfred Kaskel, who created the name “Doral” from combining the beginning of their names. 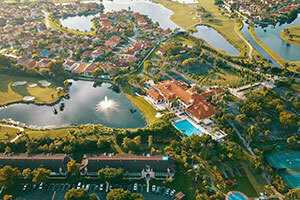 Just one mile from the Miami International Airport, Doral has a population of about 46,000 residents. Out of the top 25 towns to live in within the United States of America, Doral is ranked #2 by Forbes due to its cultural amenities, pro-business environments, and highly educated workforce. The personal injury law offices of Gerson & Schwartz, PA are located close by the city of Doral at 1980 Coral Way. Doral is known as the home for business, as Fortune 500 companies and government headquarters such as Pepsi Bottling Company and the Federal Reserve are located within the city. The Doral Business Council (DBC) has over 700 businesses. Businesses such as shops, financial institutions including 54 banks, and importers and exporters can all be found in this city. Due to these businesses, more than 150,000 people come to work in Doral. The city even has its own business board game called “Doralopoly.” BusinessWeek ranks Doral as the #1 city to start up a business in Florida.